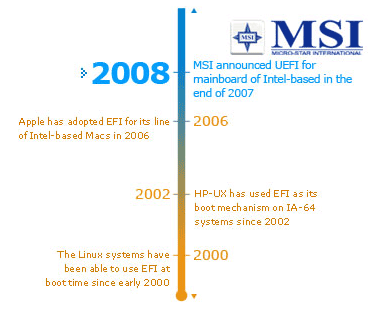 EFI (Extensible firmware interface , BIOS micro-code) development began in 9x years , in the beginning of 200x , Intel developer demonstrated the prototypes of computer systems, which work under EFI administration … Now MSI, declared about three new motherboard, which are based on INTEL P45 express chipset , that obtained support to MSI click BIOS, which is based on UEFI specifications . 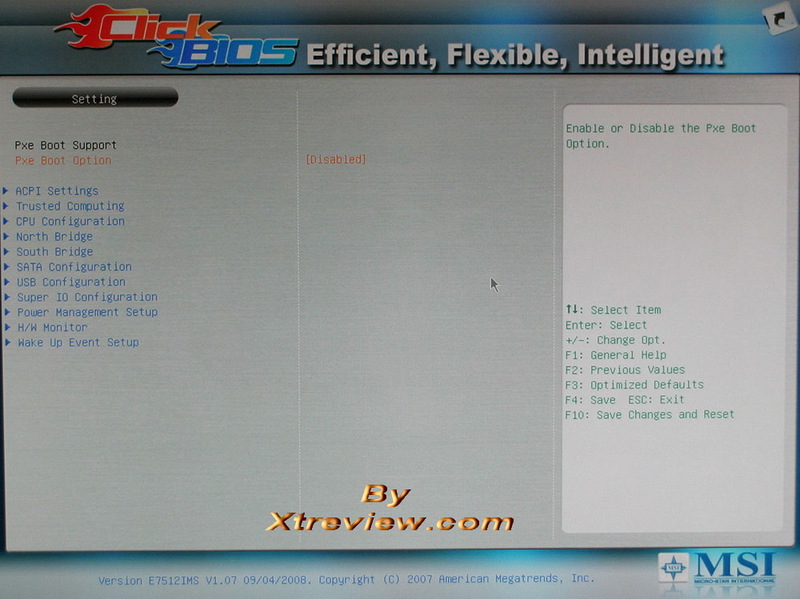 One of the main BIOS advantage is the ability to select texts on native or most familiar language. The translation of BIOS is a good idea but it is always better to learn all those options on their native language . 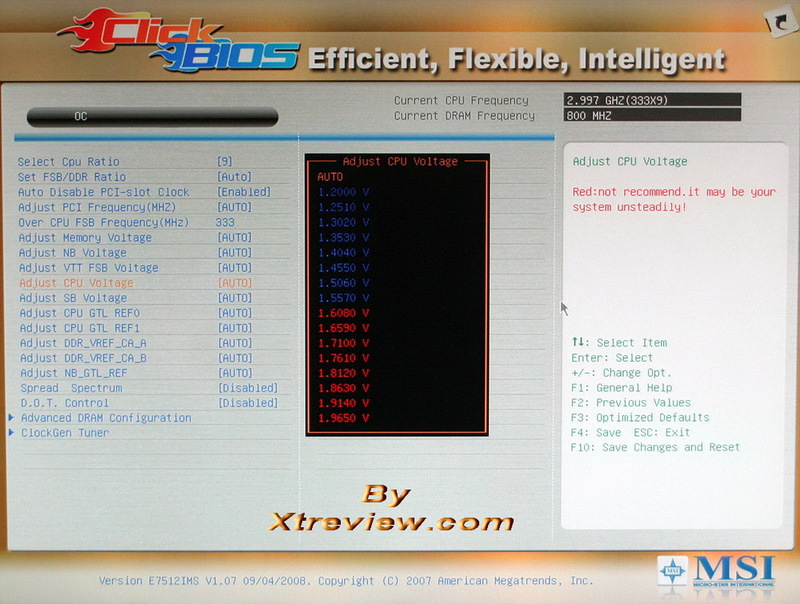 Let s start from the OC (overclock) division . 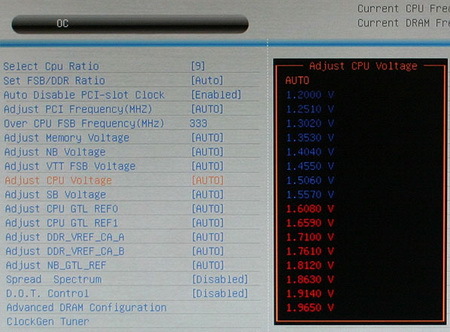 The minimum voltage step change composes 0.051 v, AND this is a huge for contemporary processor. 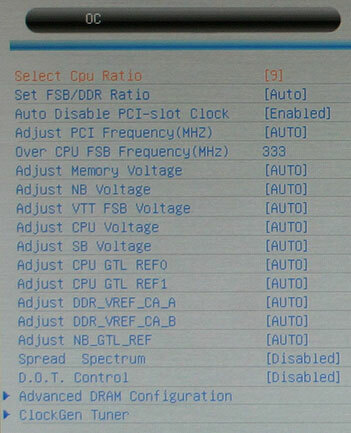 It is necessary to decrease the step at least to 0.025 v, or better to 0.0125 v. Currently many contemporary motherboard propose 0.00625 v as ideal voltage step! 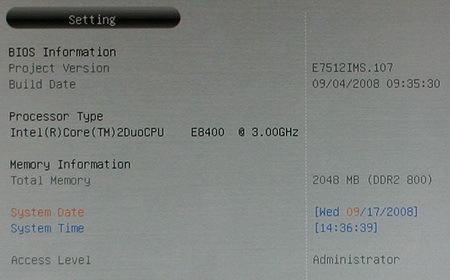 System status : this is not the analog of PC health status, but something average between Standard CMOS features and BIOS System information . 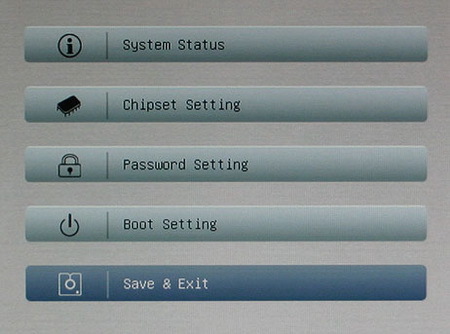 Page with information about Hardware monitor is located in the following subsection chipset setting . 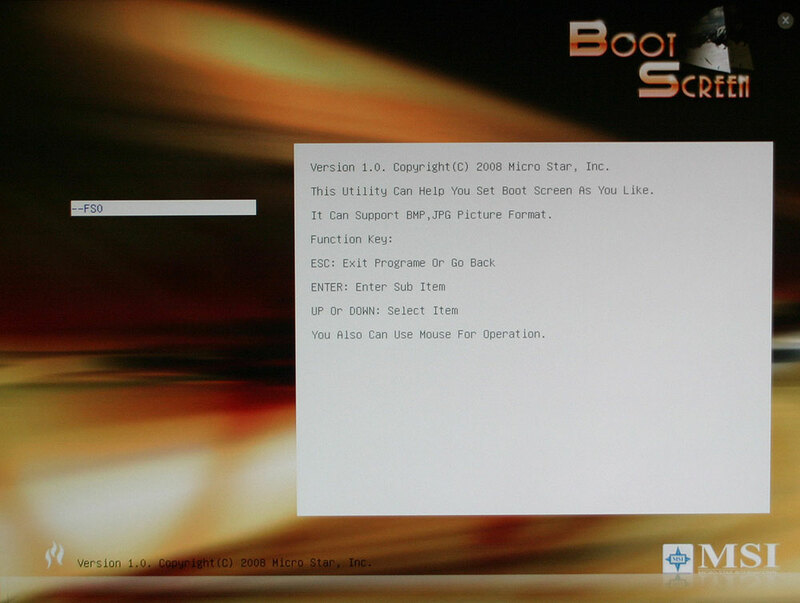 The subsection Of password setting allow to setup a user and administrator password , and Boot setting will help to select the order of boot able device. 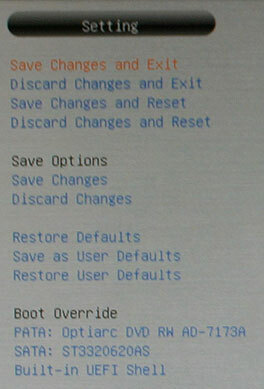 Here is the subsection save & exit . 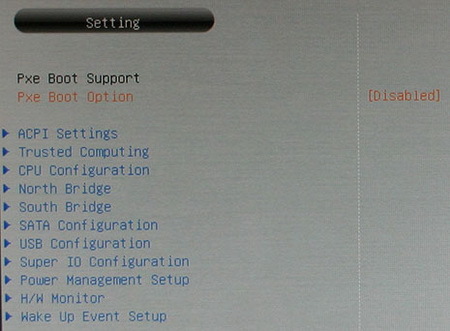 It is necessary to note that there is a possibility to save any setting in a profile. 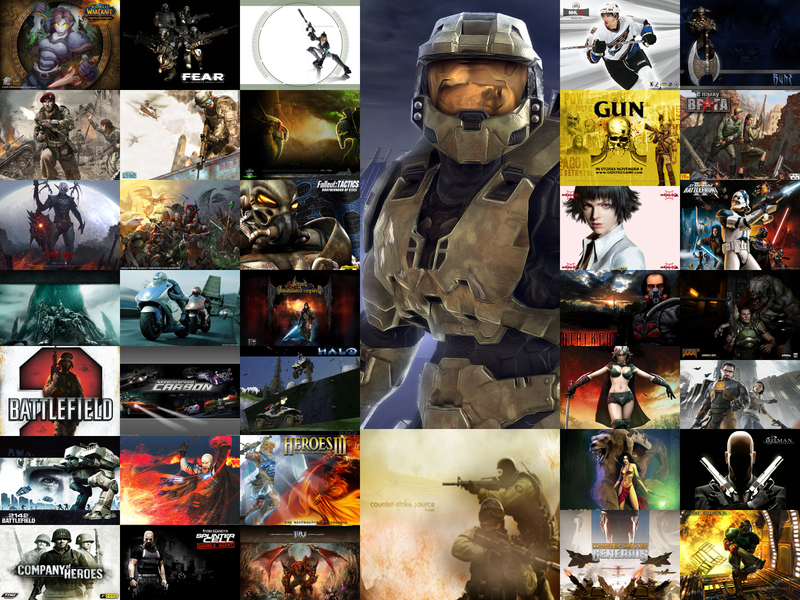 Currently there only one free available profile . 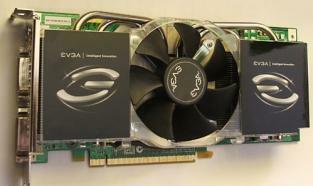 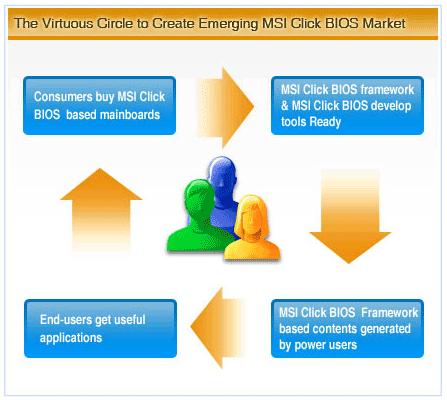 Here is the ECO division which resembles to the utility MSI Green-Power center . 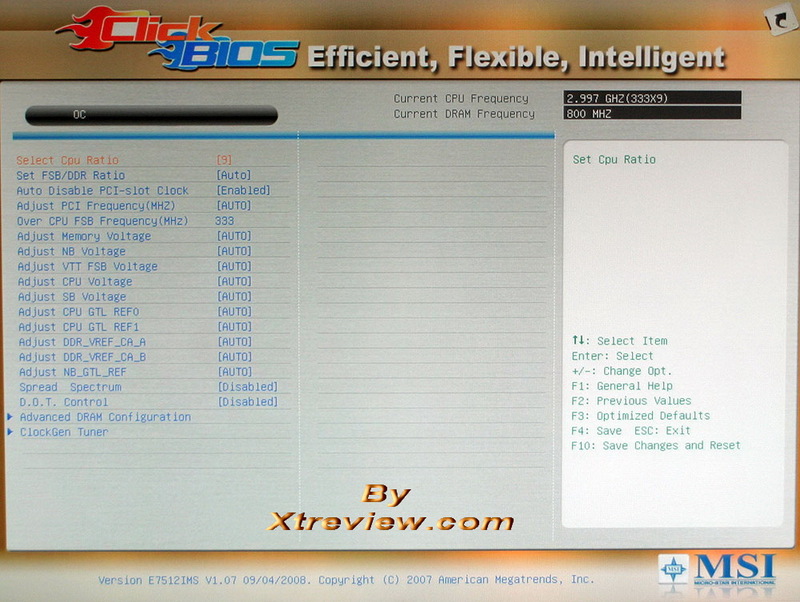 User can select the quantity of active phases for the processor , modules memory or north bridge power, or let the selection in the auto mode, In this case the motherboard will regulate the power depending on loads. 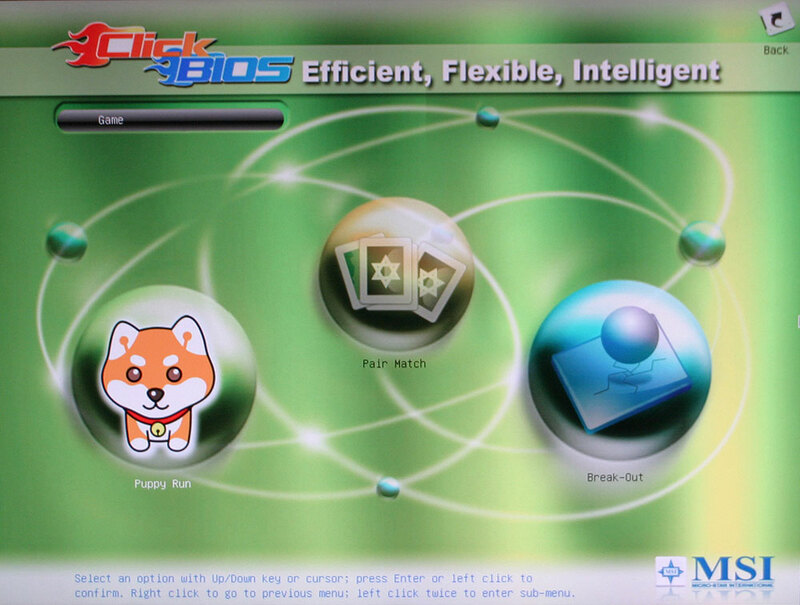 The division utility includes several programs: Live update, Flash BIOS, HDD backup and Boot screen. 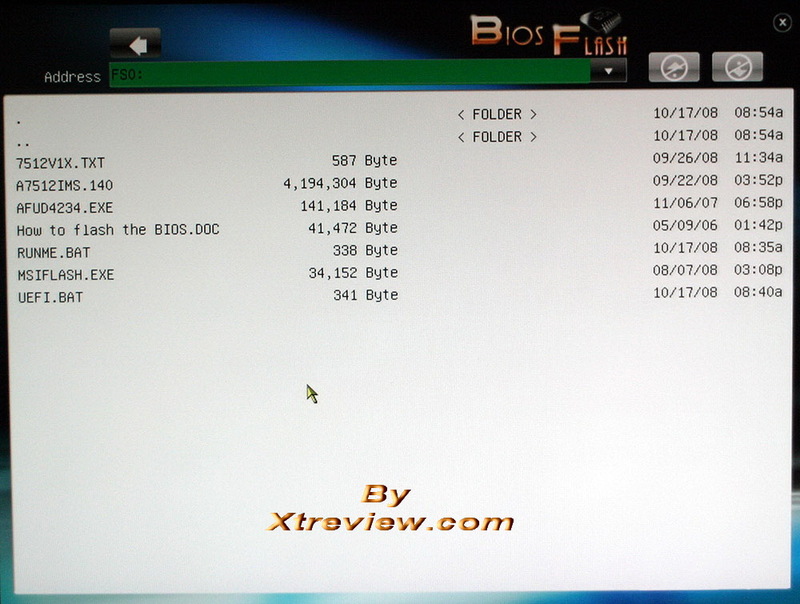 It is necessary to select the ROM size : in our case this is 4 MB.. 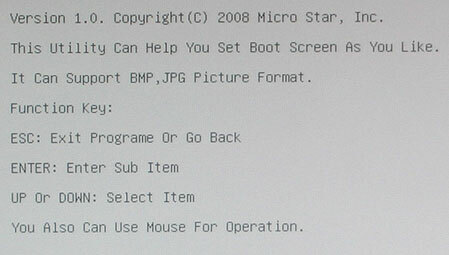 The utility boot screen with the aid of analogous file manager allow user to select picture ( BMP or JPG ) in order to use it as computer boot up logo. 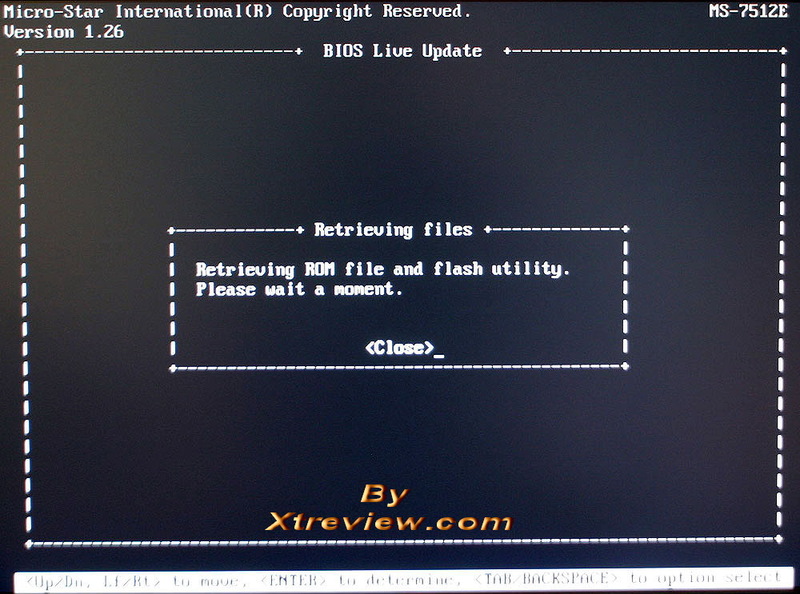 Live update will require the UEFI utility compact disc. 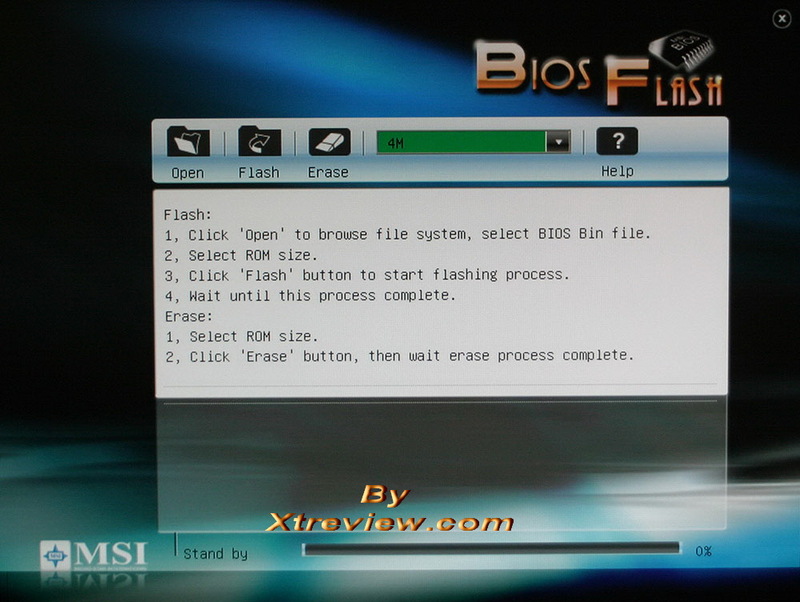 It is possible to download not only new BIOS, but also CD with additional software MSI extras disc. 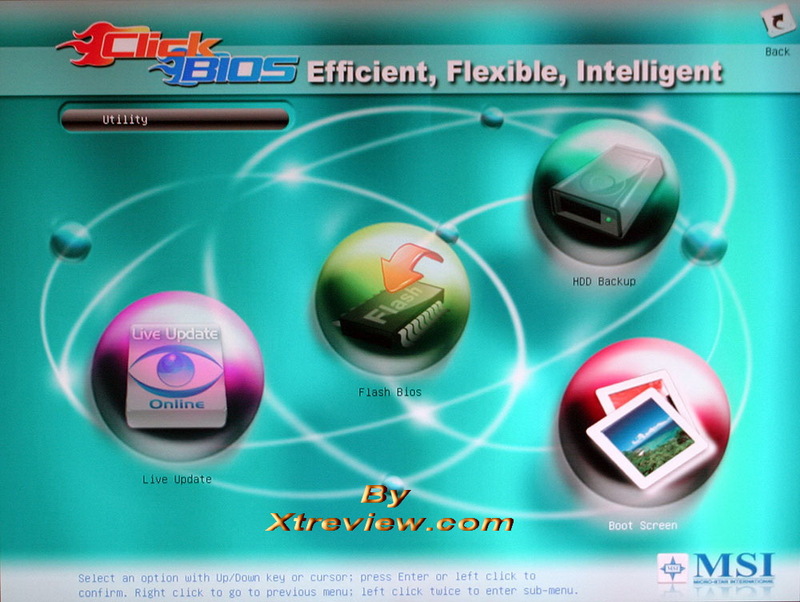 This archive occupies approximately 45 MB.and unpacked its volume is equal to about 100 MB. 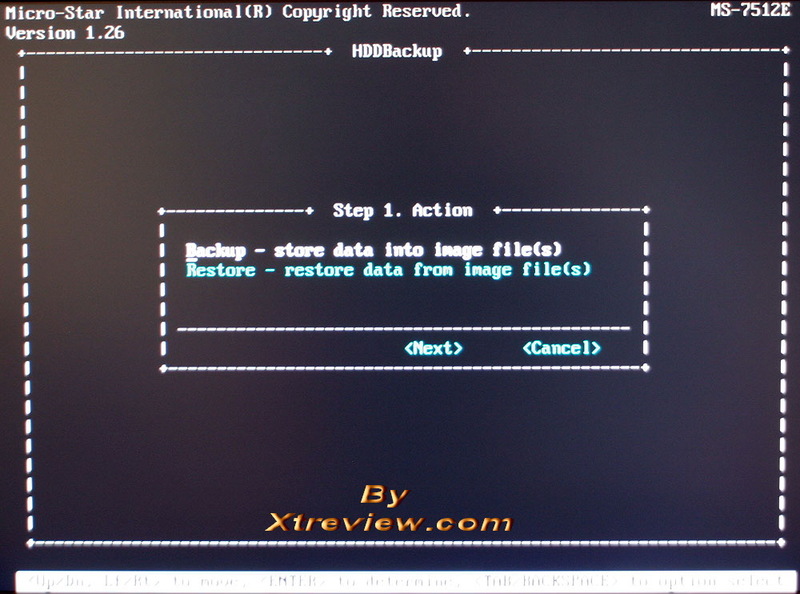 The utility HDD backup allow to make a reserve copy of any hard disk partition ,if necessary , it will restore information. 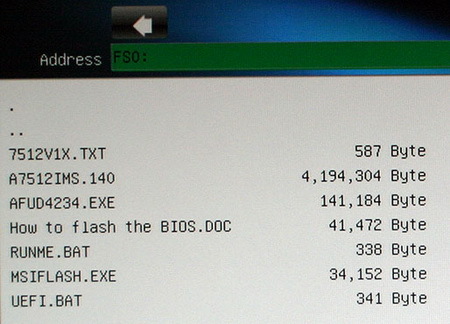 This utility work only with FAT, FAT32 or NTFS partitions. 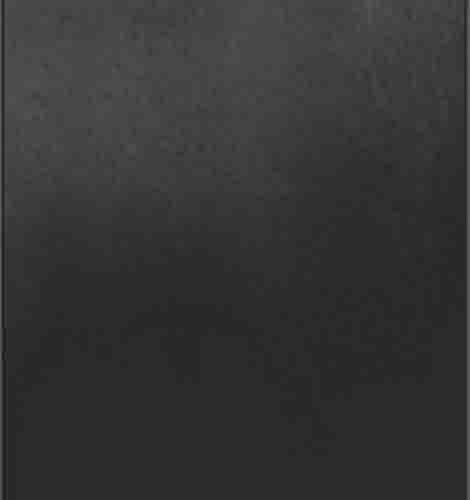 The division game was a disappointment. 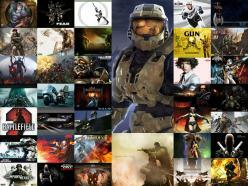 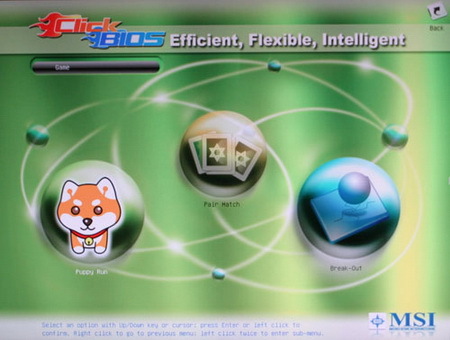 It contains only three games, which can be also found on additional CD: Puppy run, Pair match and Break-Out. 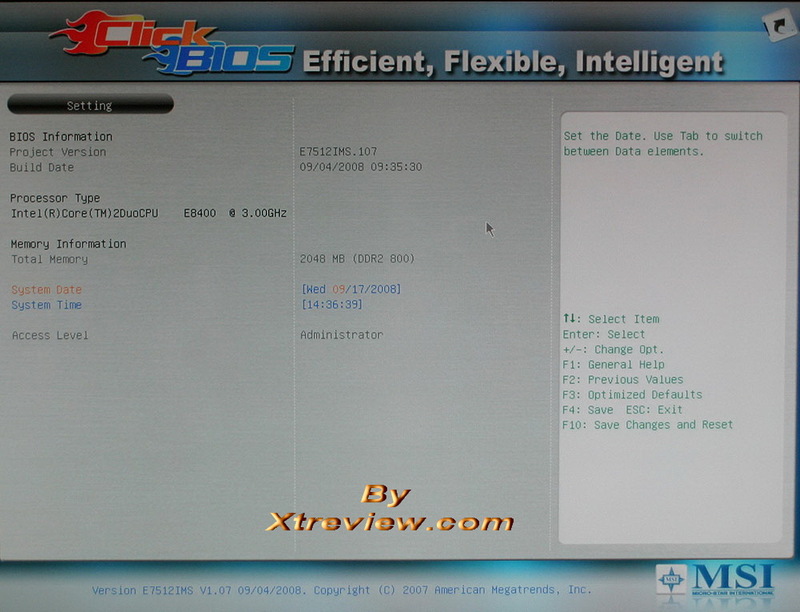 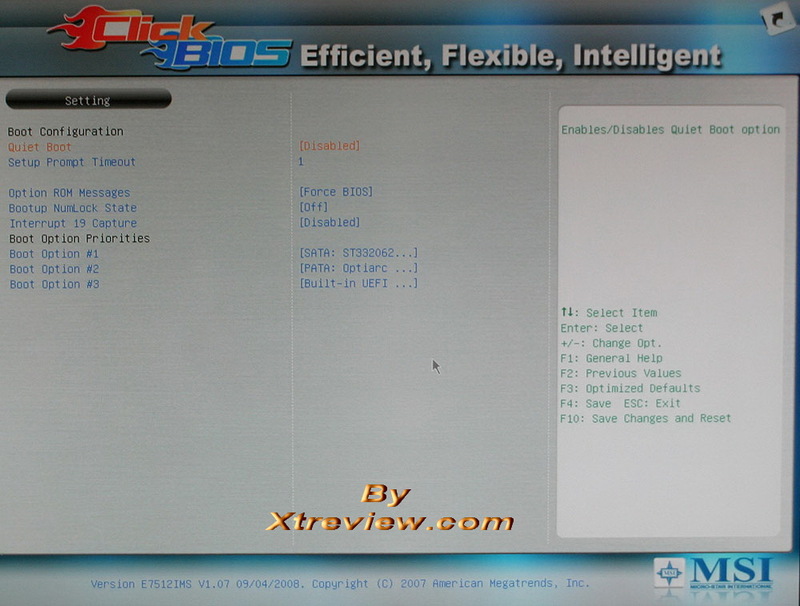 Now we checked all the possibilities of MSI click Bios. We was able to load the operating system Windows vista successfully, but the processor multiplier and voltage did not decrease in the rest state . 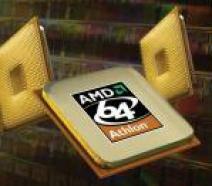 The processor energy-economy technologies for some reason did not work. 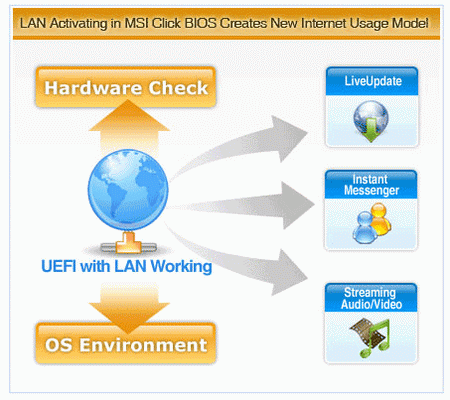 Theoretically UEFI Bios is actually convenient method for mastery the BIOS possibilities , changing setting..... 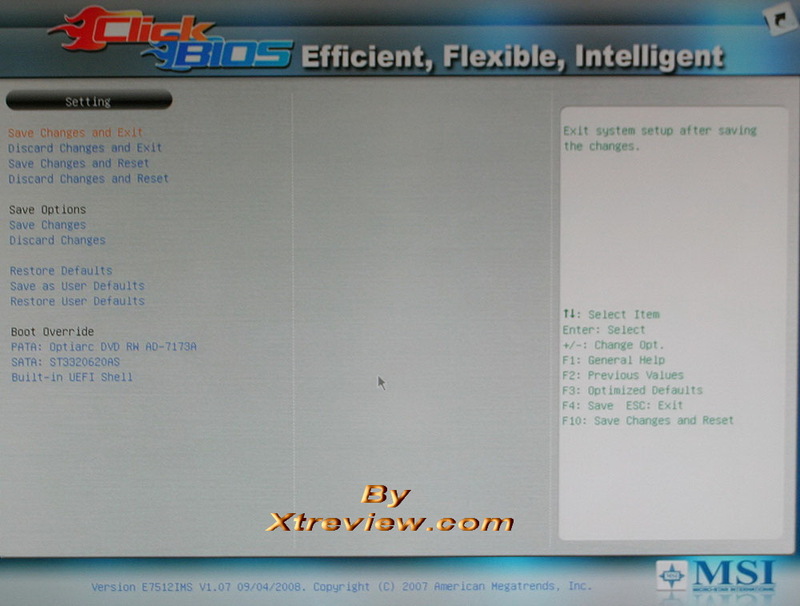 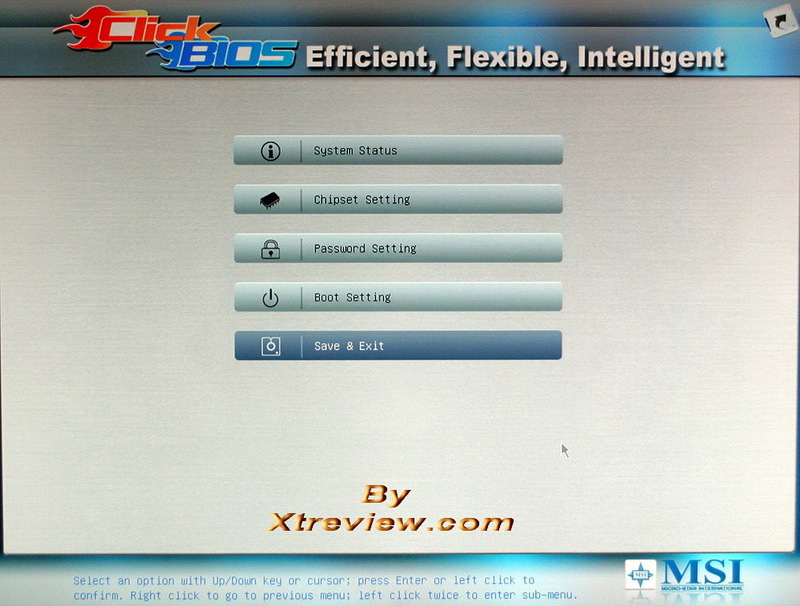 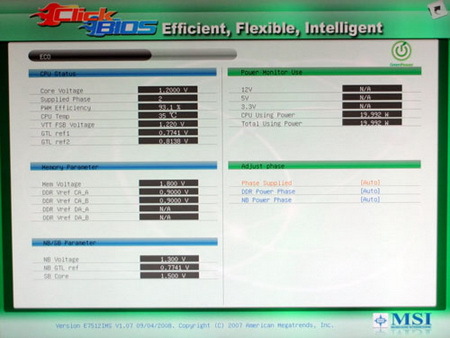 However, MSI click BIOS currently is only a beta development and it does not befit for the valuable capability . 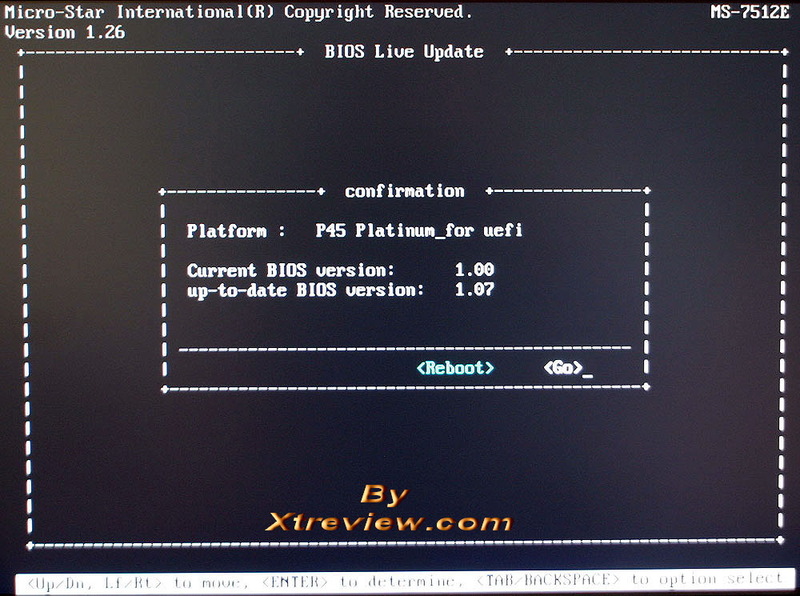 The BIOS update procedure is too complex for beginning user. 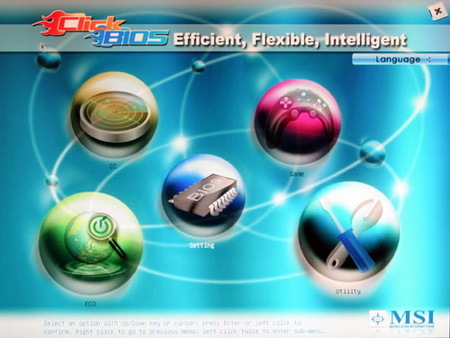 Moreover, MSI company intends to release some applications for advanced users, the list of useful programs will be enlarged with time.